It is perhaps apt that I started writing this in the days immediately following Anthony Bourdain's death given this journey to Guatemala, like so many other adventures in recent years, was directly inspired by the spirit of adventure and inclusion that Bourdain so articulately conveyed to a kid from the Midwest who didn't step foot outside of North America until after graduating college. In ways large and small No Reservations, Parts Unknown and his other shows either instigated or contributed to our journeys through Italy, France, Colombia and Cuba. And in December 2017 that same spirit deposited us in Guatemala, eating our Christmas Dinner in a street market on the same genre of plastic chairs that featured so prominently in many of Bourdain's outsized adventures. It is an odd thing to me - ascribing so much inspiration to something as remote as a television show. But as the inspiration for so many personal experiences and memories in the past several years, I can only express gratitude for the message that Bourdain brought to the world. Beyond that high level inspiration how did we choose Guatemala? Fresh off an incredible but all too brief to Cuba we were immediately hit with another dose of wanderlust when we realized that we could sneak out of the office for the week of Christmas and New Years. Unfortunately on short notice peak season airfare was crushing to nearly every destination - we actually scoured the globe as part of a desperate search for airfare to an international city with decent winter weather for a halfway reasonable sum. As it would turn out Guatemala City was the cheapest international destination from New York City and after a bit of research and the broad strokes of a plan we soon had round trip tickets, including a midnight return on New Year's that would be quite the show. How did it turn out? First and foremost Guatemala is magnificently beautiful. 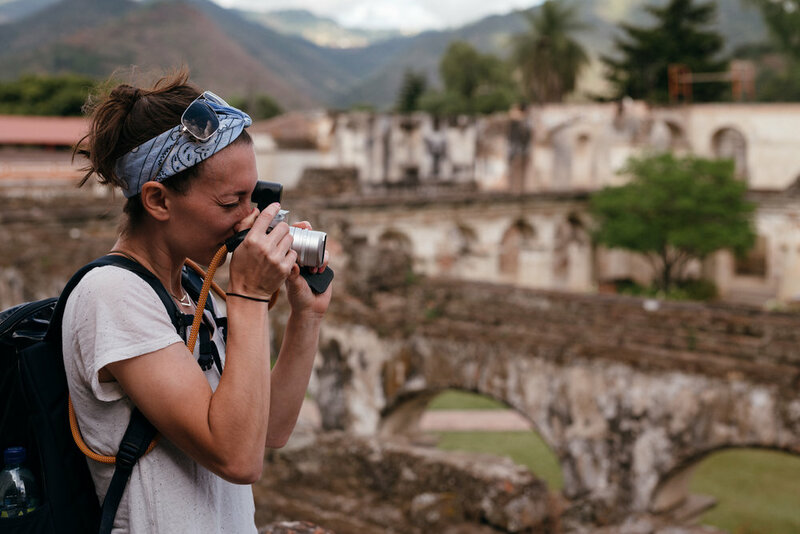 From the Mayan ruins at Tikal to the vast water of Lake Atitlan and the mix of color and volcanoes in Antigua Guatemala the landscape is more than sufficient to leave an indelible impression. The warmth of the landscape, however, was easily matched by the people we encountered in Guatemala. This was particularly true in Panajachel, aka Pana, where the lakefront - site of the aforementioned Christmas Dinner - was alive with the excitement in a manner that brought back memories of Burma and Colombia. We ate well (and inexpensively), we rode aging bikes through the countryside and we dined as often as possible at the various markets that we discovered along the way. It was an amazing journey and one that we feel fortunate to have undertaken largely based on the algorithms of airline ticket pricing. 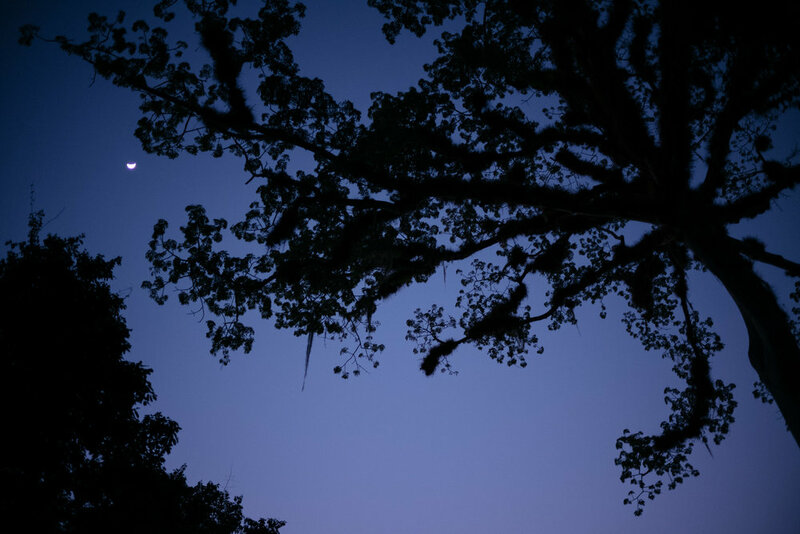 While our journey officially started in Guatemala City we arrived close to midnight and after a brief respite boarded a short 6AM flight to Flores. 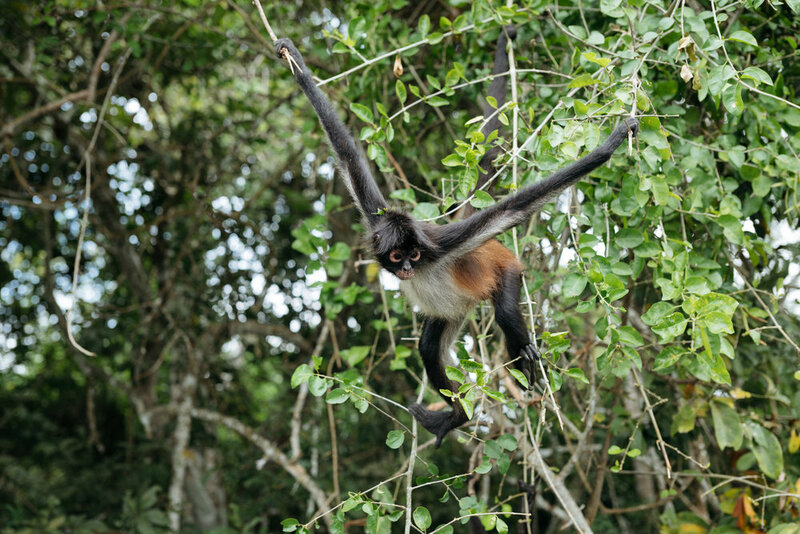 This destination was mapped largely around a visit to the Mayan ruins at Tikal. However the rest of our brief stay in Flores pleasantly surprised us as we fat-biked through the jungle and visited an island of monkeys at the resort where we were staying (due to limited AirBNB options on late notice this was the first time in years that we resorted to old-school hotel based lodging). 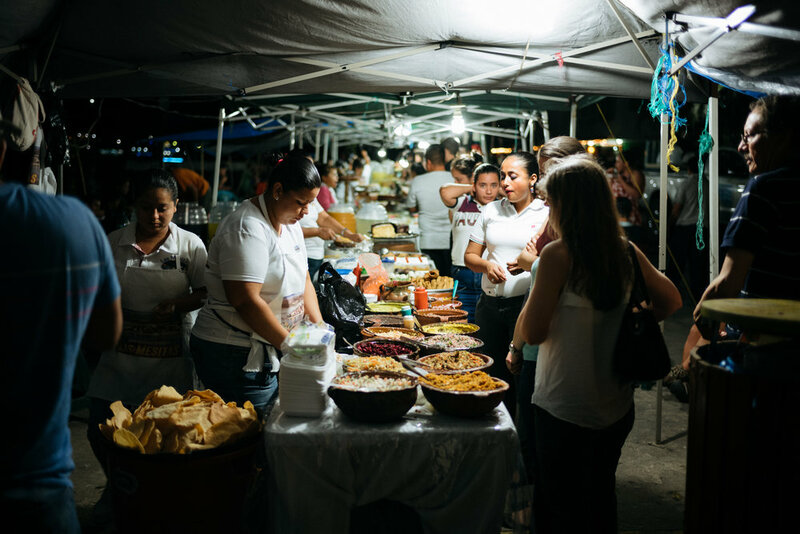 When we headed into Flores proper (an island in Lake Petén Itzá) the waterfront streets may have been flooded but that didn't deter a vibrant night market - the first of several that we would partake in during our trip - with particularly delicious desserts. The setting for a few sunset beers was particularly pleasant and the tres leche cake before dinner didn't hurt either. 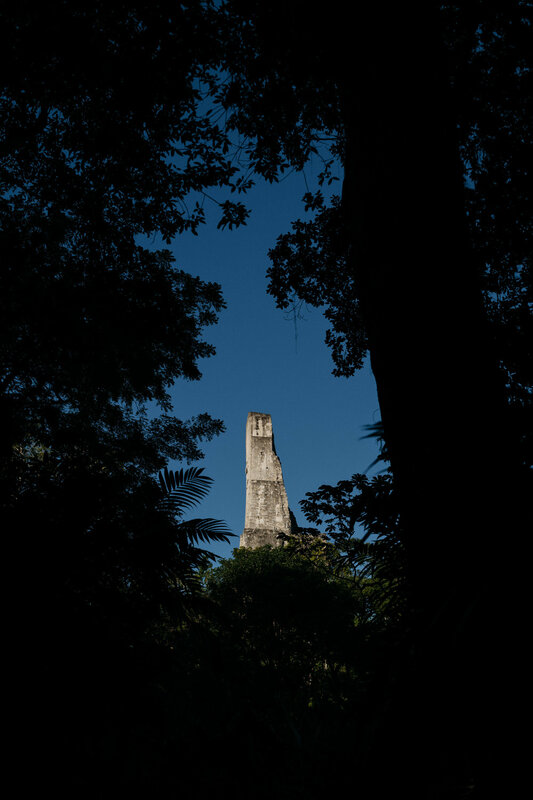 For our single full day in Flores we took a guided tour of Tikal that happened by sheer chance to fall on Christmas Eve. As a result the park was nearly deserted throughout our entire visit. 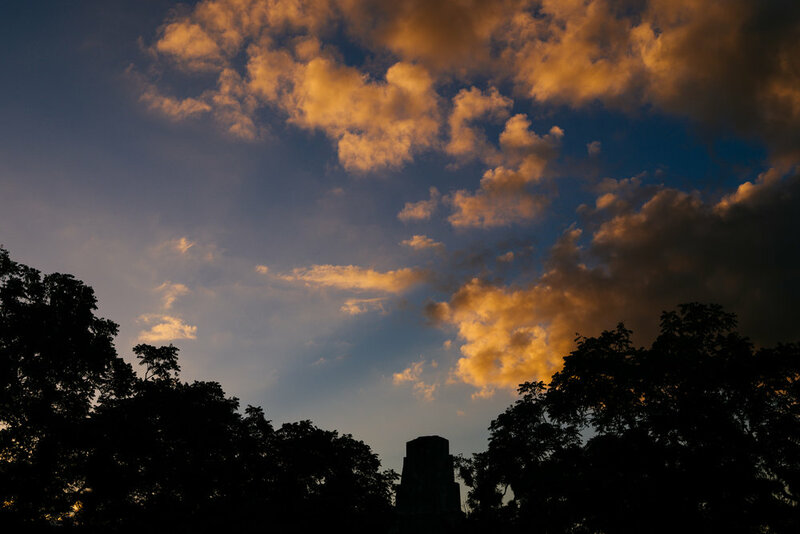 While Tikal may not be able to match the scale and stature of the temples of Bagan that we visited a few years ago, wandering the deserted jungle paths with our well versed Mayan guide, watching the sunset over the largest of the temples and walking home after sunset remain some of the most memorable hours of our trip. 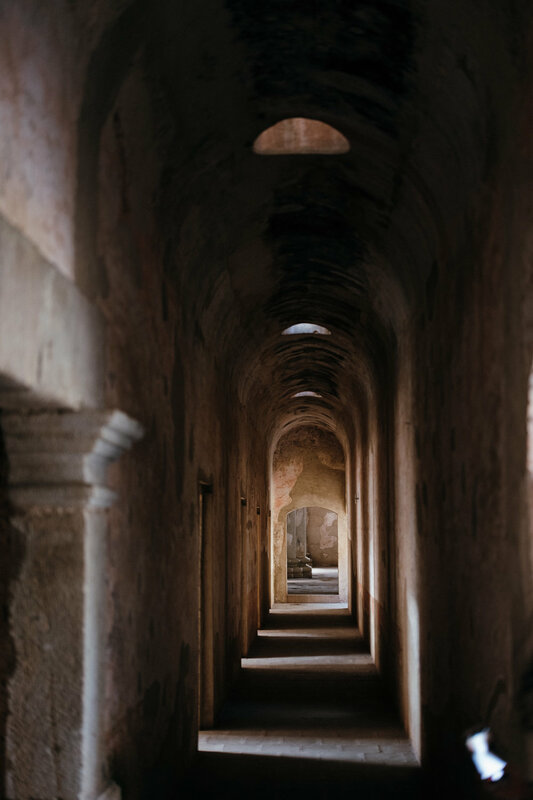 The sparse and spread out nature of the remaining and uncovered temples means that the photos really do no justice the magnificence of the temples, particularly to the intricacies with which they were built into the land, commemorating the sun and telling time. It is something which should be experienced in person. The non-existent crowds certainly contributed to the experience but Tikal was incredible to visit and it made for a special backdrop to learn so much about Mayan history and culture. And just like that our time in Flores was up: come Monday morning (Christmas Day) we boarded an 8AM flight back to Guatemala City followed by a 3 hour van ride north to Lake Atitlan where we made the (in hindsight) wise decision to skip some of the more tourist oriented towns and stay in the vibrant city of Panajachel (commonly referred to as Pana) where huge festivities were underway on the waterfront thanks to the national holiday. We wandered through the crowds and took in the entire scene before settling on one of the many street vendors for a Christmas dinner that we will not soon forget (plastic chairs and cold beers!). After that we headed back to the beach across from our AirBNB and took in one of the more incredible sunsets I have ever seen. 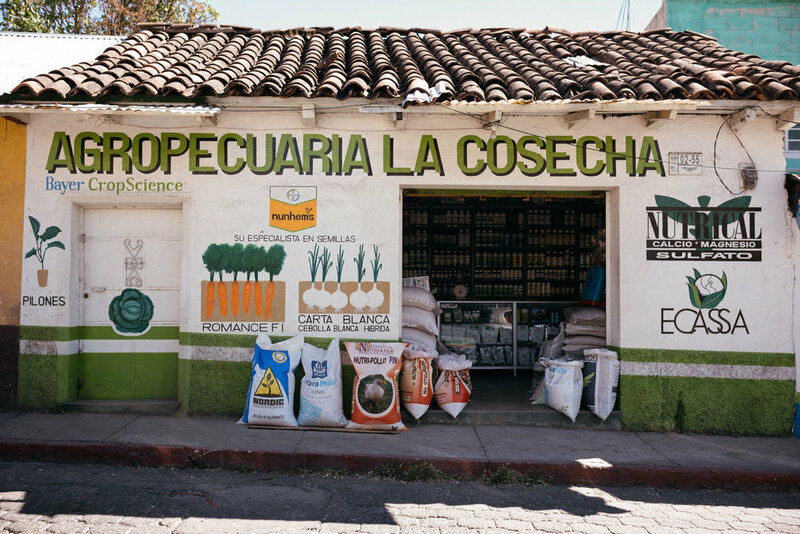 It was a fortuitous start to perhaps our unexpectedly favorite destination in Guatemala. 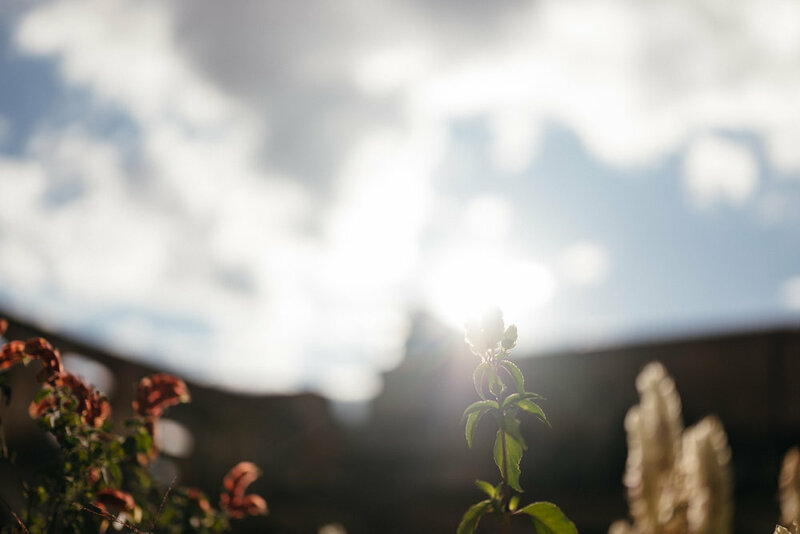 One of the amazing aspects of choosing an Airbnb hosted by a local resident (as opposed to one run by management companies or hospitality groups with a much less personalized slant) are the connections the host can make for you as you explore a new destination. Most good hosts we have had in the past will give off the beaten path restaurant recommendations or maybe tell us the best way to travel throughout a city, but our host in Pana was one of the best we have ever had. He didn't just give us tips for our stay, he truly became our 'fixer.' 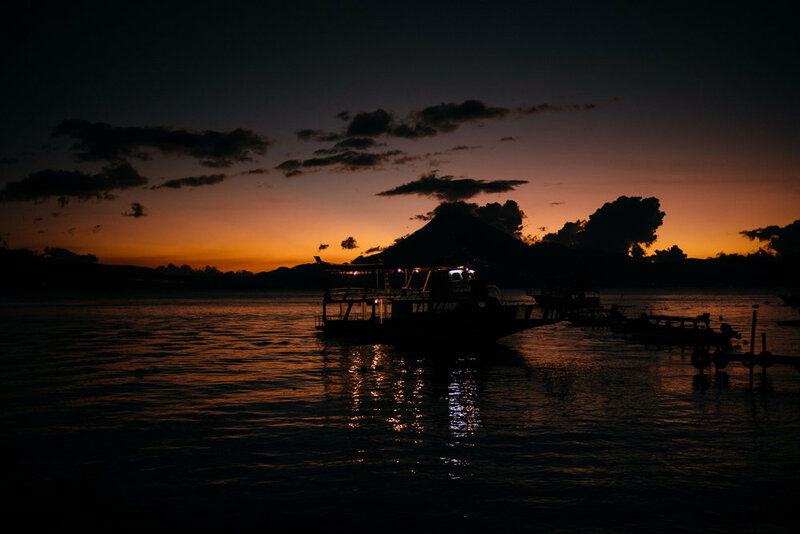 We didn't know it before arriving, but this was truly essential for achieving our fantastic experience at Lake Atitlan for two reasons. One, our mastery of the Spanish language is, well not mastered at all. 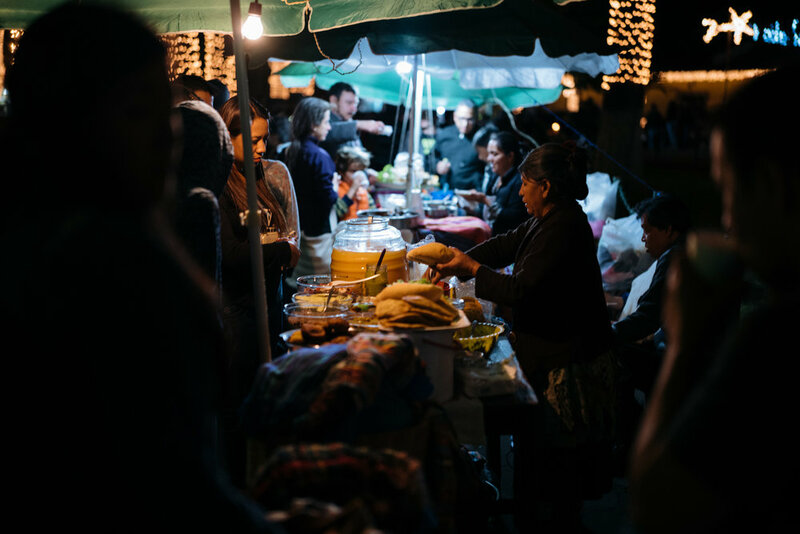 And while we were able to practice our language skills (Guatemala is known for being the best place to learn Spanish as the accent is very clear to understand), there was a lot lost in translation when it came to anything more difficult than ordering food. More importantly, there are not many roads around the lake. Travel is done primarily by boat. Boats do not run very often past 4pm. If you want to travel between towns outside of the public ferry hours, you need a fixer. 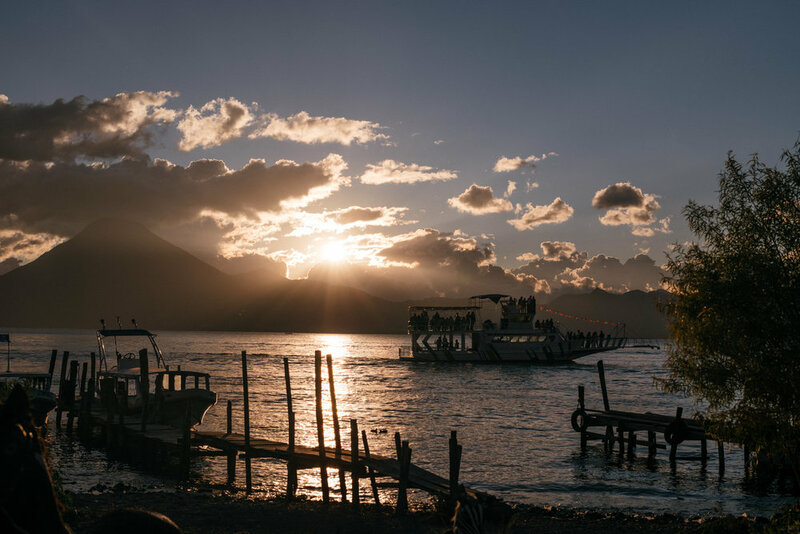 There is no easy bus transit that runs between GC and Atitlan. For travel to and from the big cities, you need a fixer. Our host was instrumental in helping with these daily logistics, making sure we had all our groceries and beer and sourced some of the best people in town to help us out. He got us a local guide to visit a nearby market town and a private boat to pick us up from a small village after hours, enabling us to fit in all the activities we had on the wish list while at the lake. On our first full day in town, we took advantage of his connections to book a guide to the Solola market. 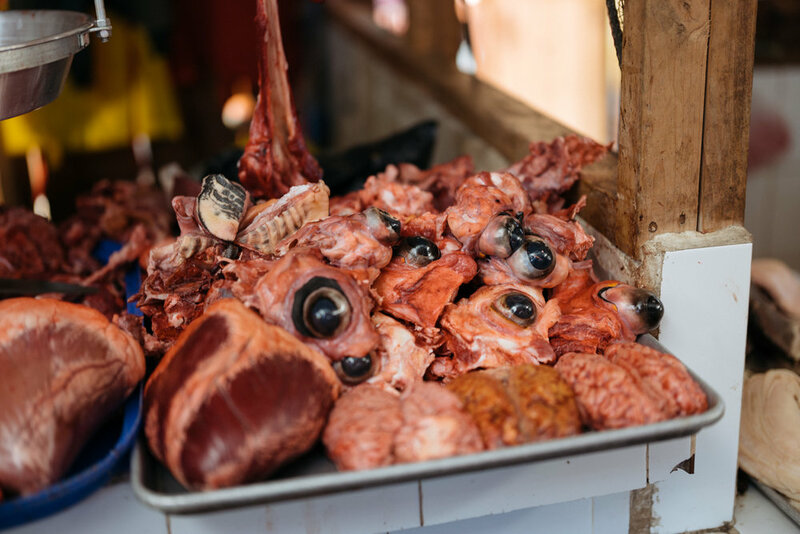 Many people point to the Chichicastenango market as a must see destination, but it's almost an hour outside of Pana and has become much more touristy over the years. Given our proclivity for avoiding overgrown tourist destinations, we opted to see a more local market on one of two weekly market days. It required a short trip, straight uphill from Pana. 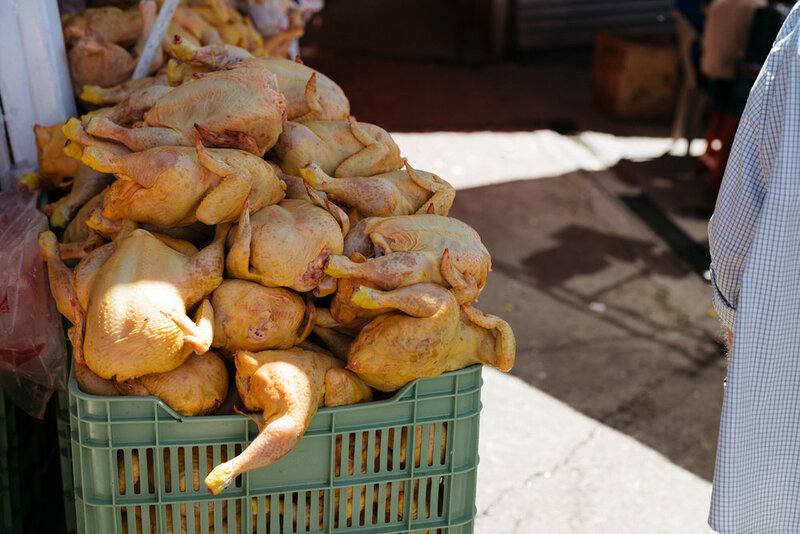 We could have chosen a nice cushy van ride, but for a fraction of the cost we could partake in a chicken bus ride, death defying experience = a couple of cents. A chicken bus is the lovingly coined term for the old broken down American school buses that have been adopted, repainted, and adorned with cheeky decor used for public transportation, named because the local farmers will throw the chickens on top of the bus as they zoom up the winding hills to the towns above the lake. 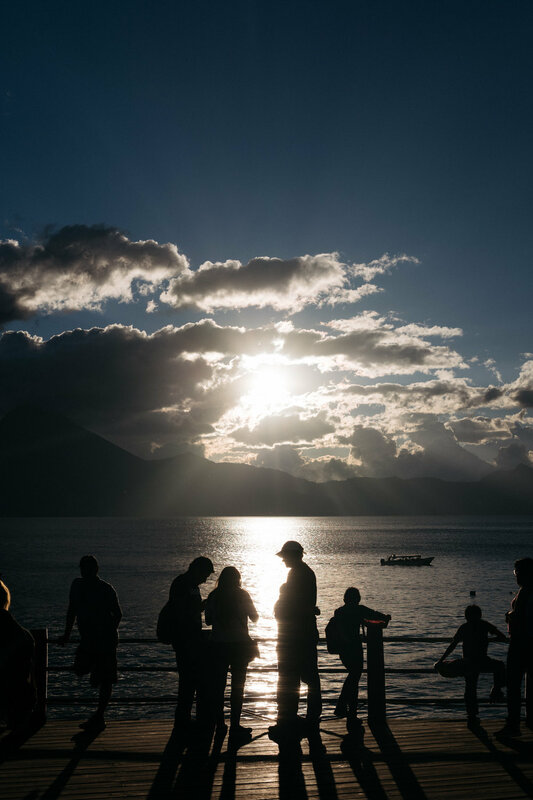 Our time in Solola was spent exploring the expansive market, eating some local delicacies, learning how to count in Mayan, and strolling through the local colorful cemetery overlooking the lake. Later that day, we headed to check out some of the smaller towns along the lake, courtesy of our second 'fixer' connection of the day - a private boat that could take us to the specific towns we desired and pick us up at a given time, after public boats were shut down for the evening. First we stopped in Santa Cruz, a sleepy town with one main road traveling straight up from the lake with great views at the top. 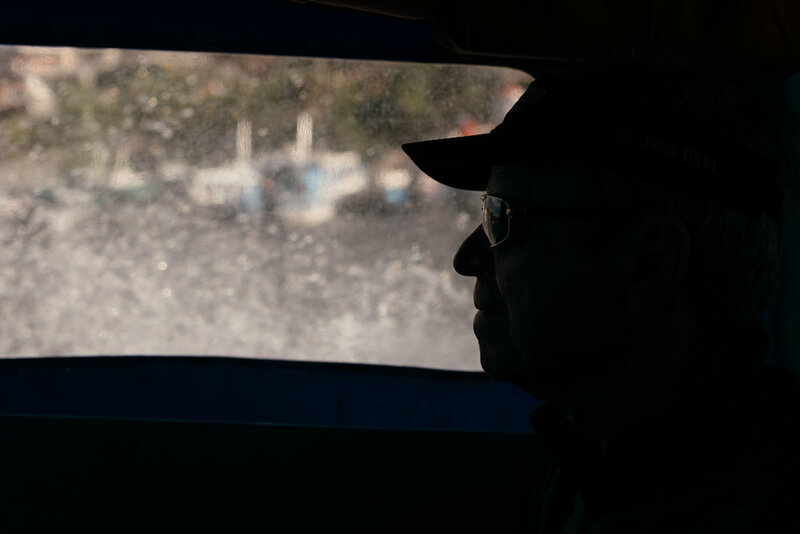 On the ride into dock, we witnessed a funeral procession taking place along the lake with the entire town coming out to take a processional boat ride around the lake to honor the deceased. We headed up to the town square, opting for tuk tuks to take us to the top each driven by what had to have been at most 15 year old boys. After lunch at the knitting cooperative and school, we hiked along the lakeside trail to Jaibalito for a coffee stop - and a beer of course - at Hans Place before getting picked up and back to Pana. Our second day of lake adventures called for an early morning bike ride. 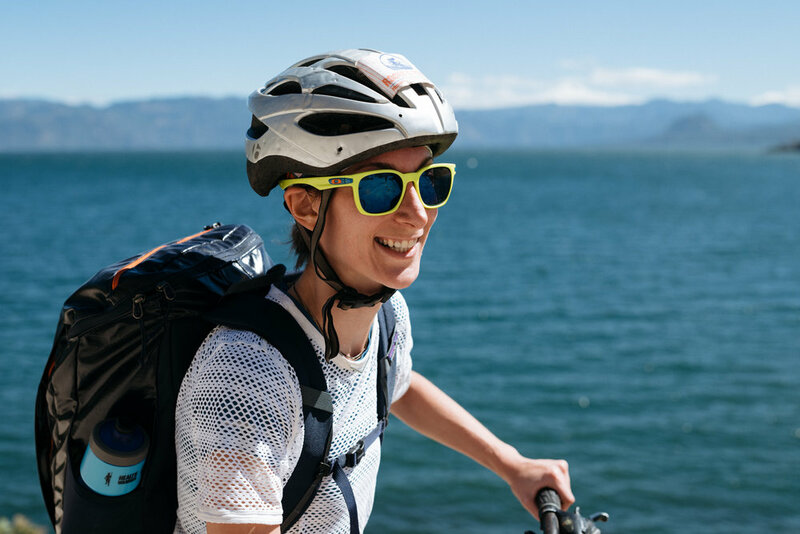 We had found a tour company online with some last minute availability to accommodate our group for a ride along the lake traveling through several towns we knew we would not otherwise be visiting. The ride was listed as easy and a quick search through the profile map appeared as though there would be 2 slightly bigger hills but overall nothing too extreme. We would be transporting some fairly beat up mountain bikes from Pana via boat to start the journey in Tzununa and bike through to San Pedro. Upon arriving to our first destination and unstrapping our bikes from the boat, we soon realized this ride might be anything but easy. We immediately climbed up a steep hill of loose gravel and the road never quite flattened out along the way. Despite the unrelenting hills and beating sun, we managed to have a pleasant ride with gorgeous lake views, a very enthusiastic guide not willing to let any of us give up, and the ability to meander through some tiny towns with a great stop at a knitting collective in San Juan where we learned how they dye and weave fabrics and picked up a few souvenirs handcrafted by the women who run and work in the collective. 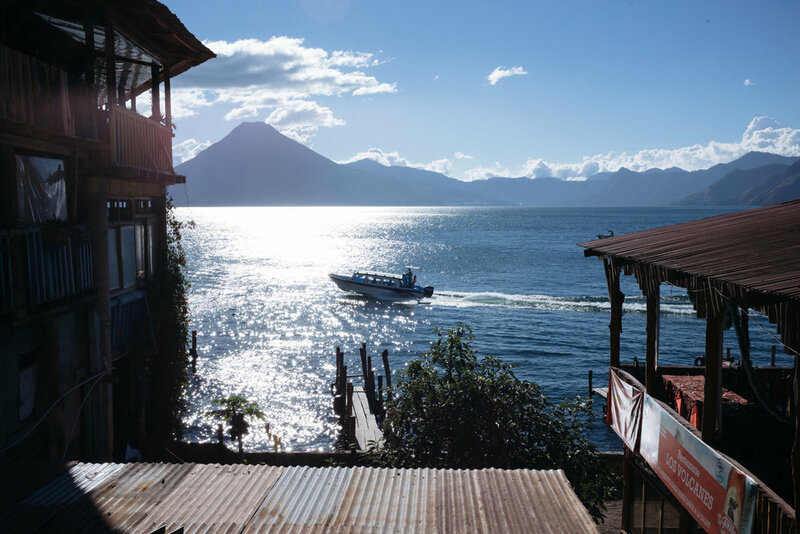 We ended our journey in San Pedro - the most touristy of the various towns we visited - and opted for lunch and more beers overlooking Indian Nose mountain before taking a boat back to Pana for a coffee stop at Cafe Loco and another marvelous sunset along the lakefront. Our last stop on the Guatemala tour was to Antigua Guatemala, surrounded by numerous volcanoes, the big three seen from the city - Agua, Fuego, and Acatenango. We pulled up to our home for the next three days, unassuming on the outside but once we stepped inside contained a magical garden oasis courtyard - another great airbnb find and the perfect place to unwind between adventures and to enjoy an evening cocktail. After a long drive back through the mountains and settling in to our new abode we took a stroll through town to acquaint ourselves with the neighborhood, just a short walk from the Santa Catalina arch and Avenida 5, filled with people walking through the streets and a night market in front of the local church. 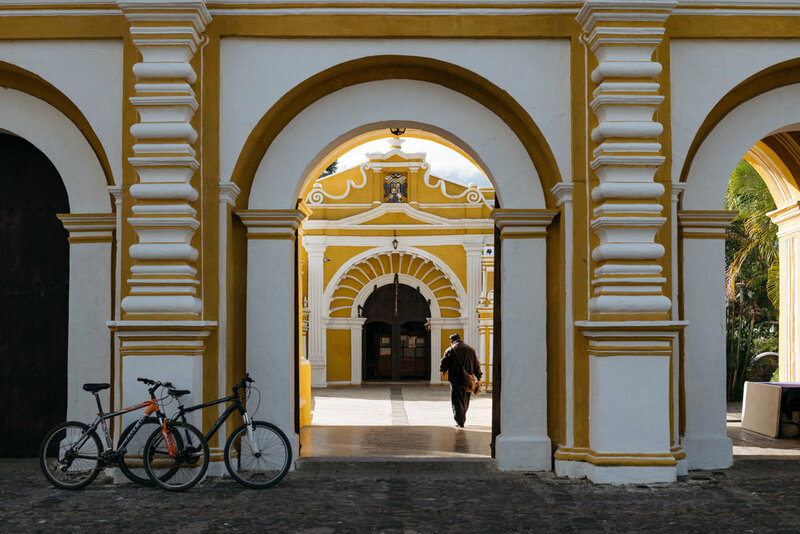 The old colonial style buildings and cobbled streets brought on a much more Spanish feel than we had experienced from first traveling through the old Mayan ruins to the small lakeside villages mostly unspoiled by foreign influences. We often like to explore a destination through its food, and one particularly good way to do so is by eating your way through the local street food and hole in the wall mom and pop shops serving home recipes shared down through the generations. Food tours are a great way to do this especially in a foreign country where the language barrier exists, a local guide can really help find the places you wouldn't have the knowledge or access to and give you a sampling of the best simple cuisine. Just like our guide did within the confines of the Solola market, our Antigua guide - a native of Texas but who moved to South America years ago and settled in Antigua for the past 5 years - walked us through the city to get a sampling of the best snacks Antigua has to offer all while giving us some history of the city and culture. We stopped at a tiny cafe - which consisted of about 4 plastic tables and a flat top grill - producing some of the best papusas filled with cheese and topped with spicy salsa, a small restaurant doling out simple stewed pork tacos and Antiguan soup, another hidden gem serving bowls of stew filled with at least a quarter chicken and local corn, desserts made with ground beans and lastly a dessert and chocolate ship famous for its Guatemalan milk nougat candy. With each dish we got a glimpse of history and local culture associated with the dish or what makes it so special. We often got to chat - through our guide's translation - with the local staff preparing the food, who had been pumping out these products to perfection for generations. We also gleaned from our guide, local knowledge on best sites to visit in town and haunts to check out. 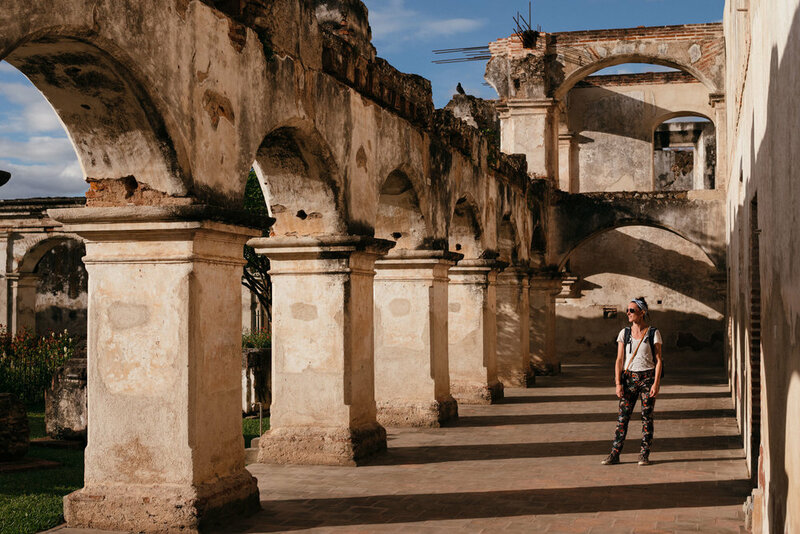 Which is how we came about some of the best Spanish ruins in Antigua at Covento Santa Clara. The backdrop with the setting sun in the late afternoon made for some fantastic shots as we explored all the nooks and crannies of the historic site. 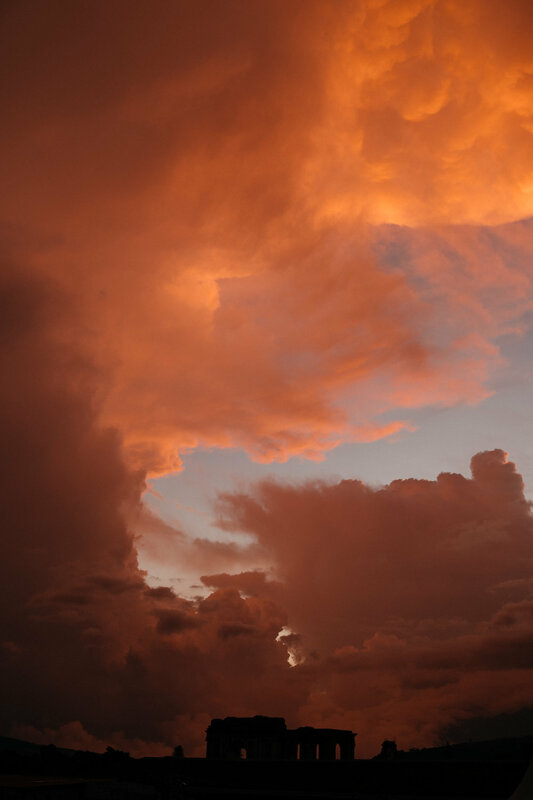 Afterwards we had sunset drinks on the rooftop of Cafe Sky overlooking the very active Fuego volcano that would plume with smoke every 5-10 minutes and successfully ticked off my bucket list - seeing a volcano erupt. Our last full day in Antigua had to include a bike ride, of course. 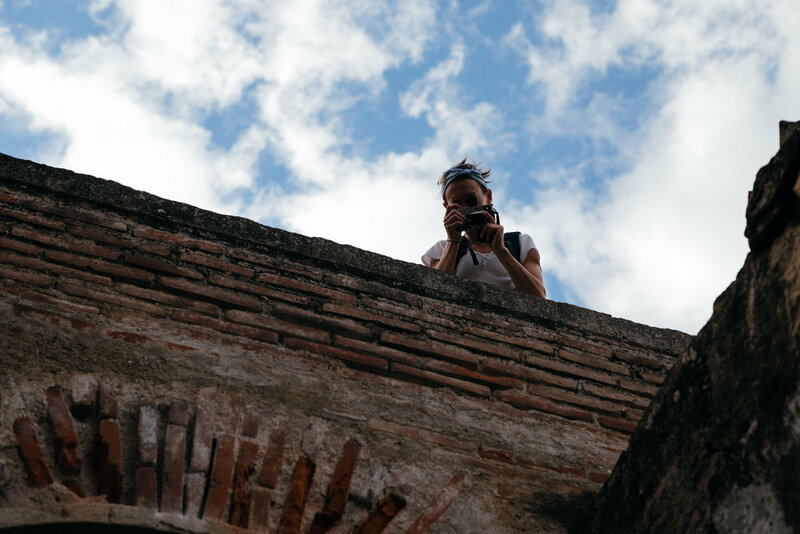 We took a tour through the cobbled roads of Antigua circling around the outskirts, learning more about the villages and its inhabitants surrounding the city. Our journey took us on some old mountain bikes - one which broke down 1 mile into the ride and had to be replaced - to the surrounding towns of San Cristobal and Santa Ana - where big public laundry basins sat in the center of town with the Fuego volcano in the backdrop. 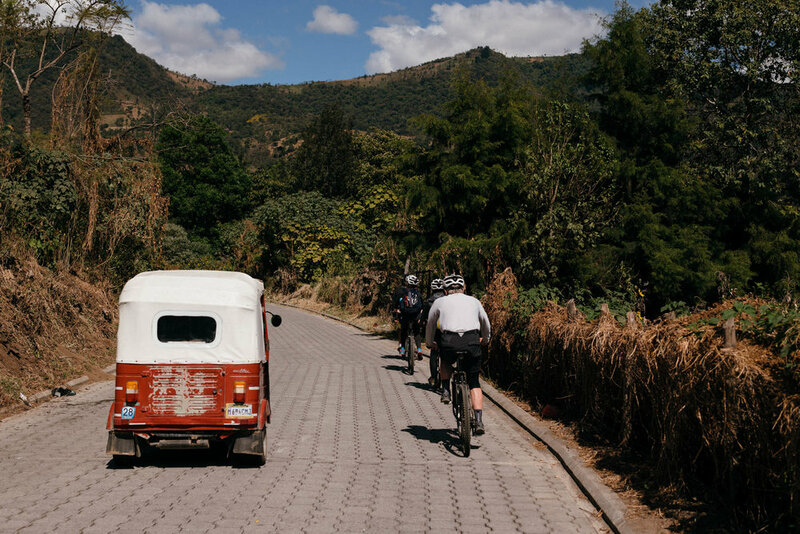 We rode through cobbled streets where Antiguans were going about their daily lives and got an important glimpse of life for the local Guatemalans, one that definitely had significant contrasts to the hustle and bustle in the city just a few short miles away. Our final morning, New Years Eve we went to the local coffee shop, Fernando Kaffee, that we had frequented several times during our stay in Antigua. The Guatemalan coffee proved to be a strong contender for favorite coffee destinations and this particular shop also produced some hand crafted chocolate and served breakfast in a cute courtyard out back. After the caffeine intake we hiked up to the top of Cerro de la Cruz - another recommendation from our local food guide - for one last view of the city below and the largest of the volcanoes, Aqua, which has laid dormant for several thousands of years. The hike up to the top was pleasant but challenging enough to get our blood flowing and we were rewarded with quite spectacular views of the city in the morning light before the city fully awoke. 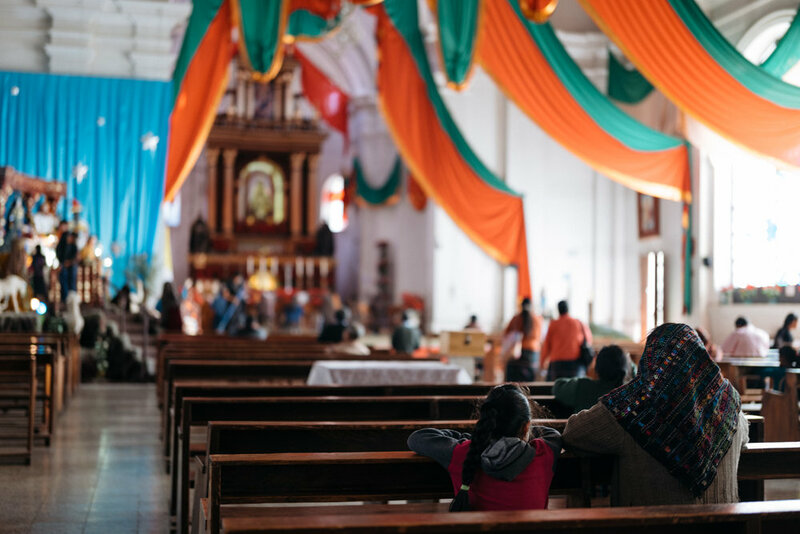 It gave us a nice respite to reflect on our great trip to Guatemala - one that was perhaps cobbled together on a whim but one which shone a great and varied light on a country with a rich history. Our flight out back to NYC wasn't until 11:59pm on New Years Eve, and while that meant the airport was completely deserted and void of any amenities while waiting for the flight to board (not even vending machines for water or anywhere to spend our last remaining Guatemalan Quetzal), as we were taking off we were rewarded with an extremely spectacular goodbye salute. It was explained to us in our time in Antigua how much the Guatemalans love their fireworks and flare. During Semanta Santa they even light on fire a cage representing a bull that someone gets inside of and runs around the crowded central square carrying, chasing after revelers trying not to get lit on fire. So each neeghborhood all throughout Guatemala City and its surrounding enclaves seemed to have their own not so small display of fireworks to ring in the new year. As we ascended into the night sky, the scene look almost like a war time reel, explosives going off in consecutive fashion in a barrage of light and color. It was quite the send off and unique way to ring in 2018. As a final note, during our Antigua bike tour of which Fuego played a center role, our guide explained the symbolism and importance of the volcano to the complex history that Guatemalans have with the volcanoes. He explained the respect that people have for Mother Nature and the power the volcanoes hold over their daily lives. He explained why people would choose to live under the plumes of smoke emitted from an active volcanoes like Fuego - how some people don't have the means to live closer to the city, how the soil is fertile for farming, and how they are willing to accept the potential dangers of living under an active volcano can pose - from which large eruptions are quite rare - in exchange for its natural benefits. 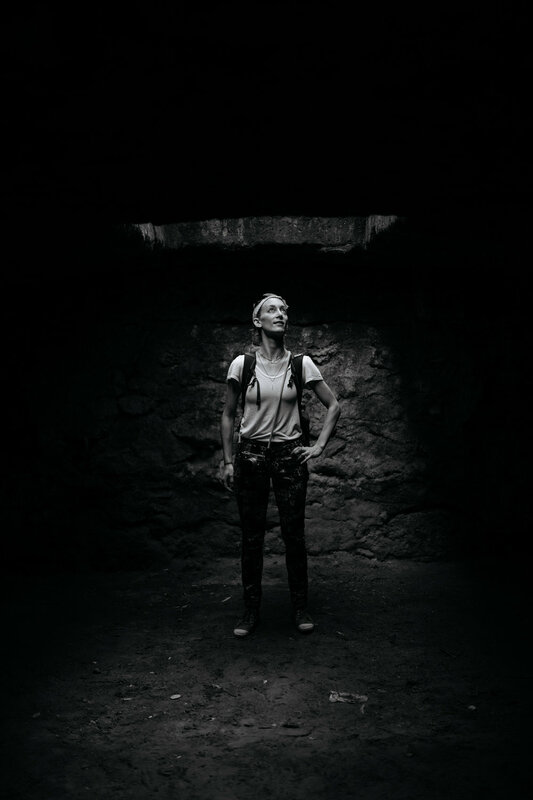 Remembering these stories make it all the more difficult to have read through the recent news of the devastating eruption of Fuego. To have seen so many people who lost their lives just trying to live with what they have in respect of the land around them, hit an especially heartbreaking chord and we think about all the families who lost so much in the wake of this tragic event.